The palate offers plenty of fruit and texture, while maintaining a wonderful vibrancy and freshness. The nose shows dark cherry, strawberry, blackcurrant, dark chocolate, and sweet spice. The palate offers fruit, texture, and concentration while maintaining a wonderful vibrancy and freshness. Delicious now and will improve over the next 6-8 years. 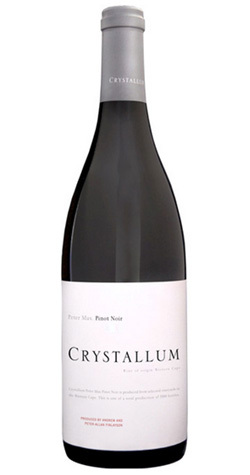 The 2016 Peter Max Pinot Noir is a crafted from fruit sourced from four vineyards, three in the Hemel en Aarde area of Walker Bay and one on a high altitude, inland site. The vineyards form the perfect building blocks to reflect the challenging, but surprisingly very good 2016 vintage. The 2016 Peter Max is naturally fermented with 70% of the fruit de-stemmed and the remainder left as whole clusters. Extraction is kept to a minimum during active fermentation with a total time of 4 weeks on the skins.